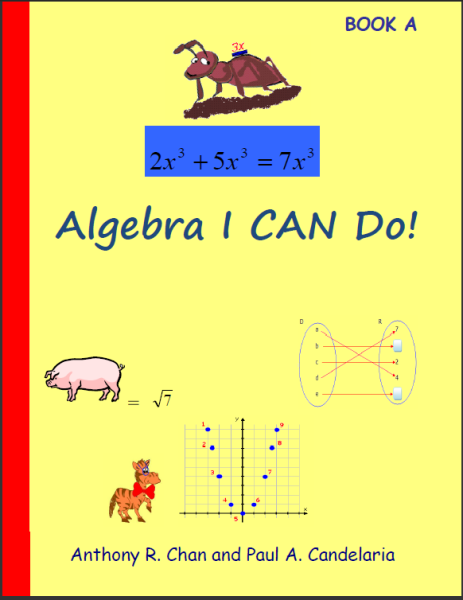 Alpha Educational: Algebra I CAN Do! It is common practice that students’ early years of mathematics consist of mainly arithmetic and numbers, followed by instruction in algebra. Then, in algebra classes, when students are suddenly faced with letters and with letters combined with numbers—seemingly formidable symbols at once both new and foreign to them--these symbols often become a stumbling block. Becoming familiar with them prior to the study of algebra, therefore, is for many crucial to their mastery of the subject. Algebra I CAN Do! confronts children with the most advanced symbols of algebra long before they are introduced to higher mathematical concepts. 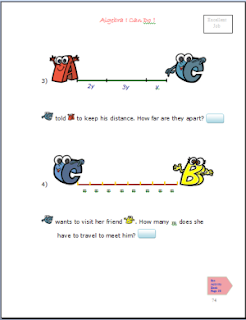 By introducing algebraic symbols and terminology in the early grades, students will be better prepared to tackle concepts of algebra in depth in later grades, having become familiar with its symbols and terms early and comfortable in manipulating them. 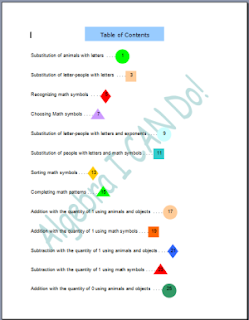 Students can then more quickly and easily transition into higher math. Algebra I CAN Do! changes how we approach numbers. 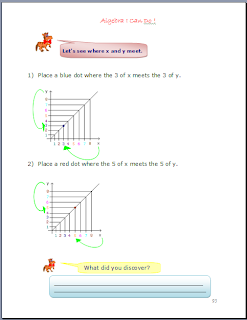 Rather than fractioning math into separate branches, Algebra I CAN Do! integrates arithmetic, numbers, and basic algebra concepts to make for a smooth and seamless continuum in which young students will hardly notice the transition from basic math to advanced. Algebra I CAN Do! transitions children comfortably into Algebra, removing from them the fear of the journey into higher math as they are guided by an affable Al Zebra along a path rife with objects meaningful in a child’s world: animals, toys, and children. In these pages, students will learn patterns, addition, fractions, matching, substitution, sorting, ordering, counting, perimeter, area, charts and graphs, grouping, and more in a simple, engaging way that dispels fear. 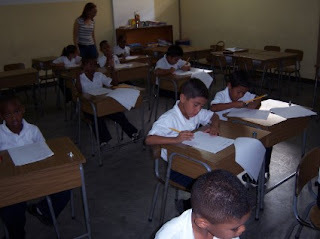 These children in Venezuela are taking part in a pilot test of Algebra I CAN Do! They are happy to be learning big-kids' stuff! To date, Algebra I CAN Do! has been piloted in various schools in the United States, Mexico, and Venezuela, primarily with lower-achieving pupils at the first grade level. The results have astonished teachers and parents alike and have left many asking Why hasn’t this been done before? Teachers who have participated in the pilot and seen its results say Algebra I CAN Do! is the missing link between arithmetic and algebra. Algebra I CAN Do! 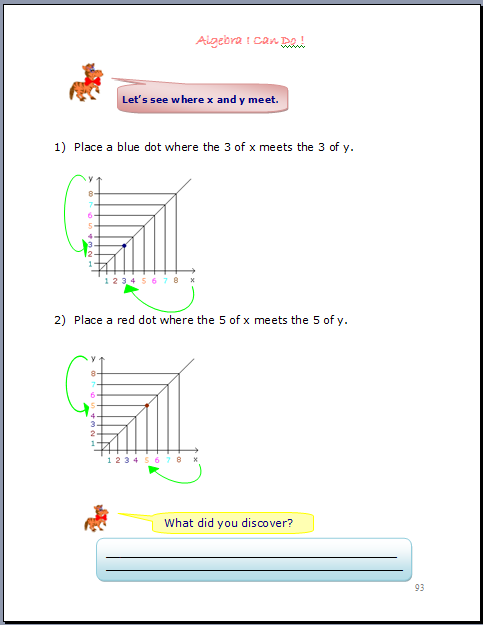 is a fun learning experience for both teachers and students.